Want some quick tips on how to keep your cabin warmer in the winter? 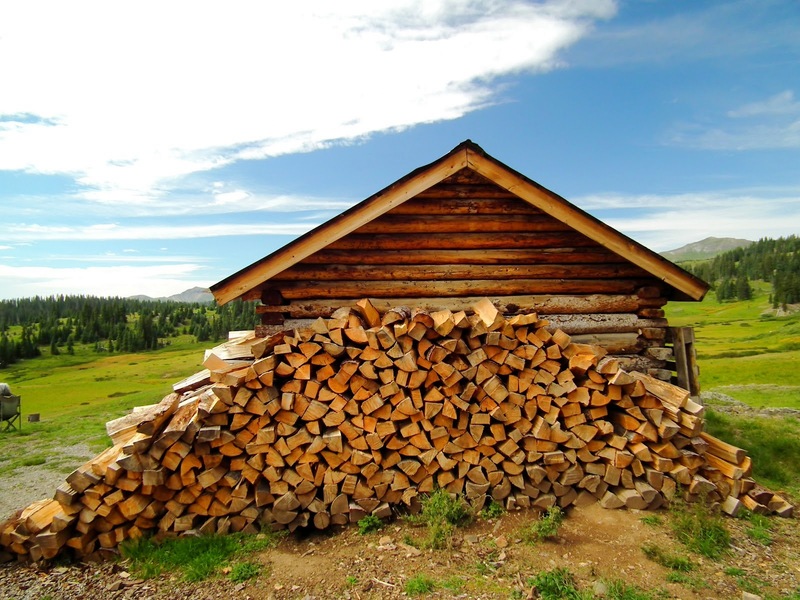 Pile most of your firewood on the north side of your cabin, blocking the north wind from causing a wind chill effect on your cabin. The wood - even though it is outside - insulates your cabin from the wind chill coming from the north. 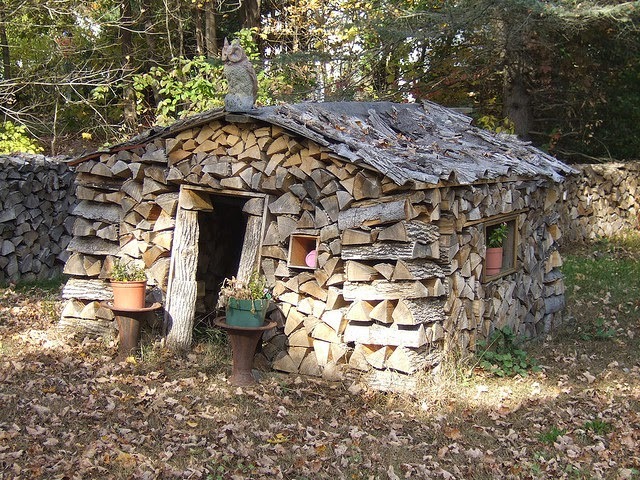 If you have tonnes (literally) of fire wood handy, you can also insulate other sides of your cabin. This effectively makes an insulating barrier and will keep the cabin warmer regardless of which direction the cold wind is coming from. 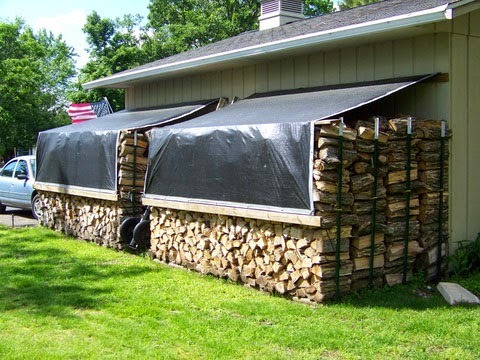 Cover your firewood with plastic tarps to keep them dry and weigh down the tarps with rocks or logs so they cannot blow away in the wind. 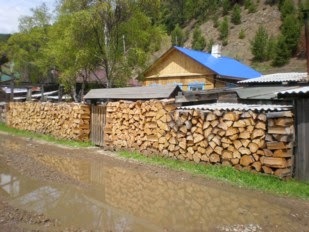 The gaps between the firewood will then be dry air instead of getting wet or clogged with snow. 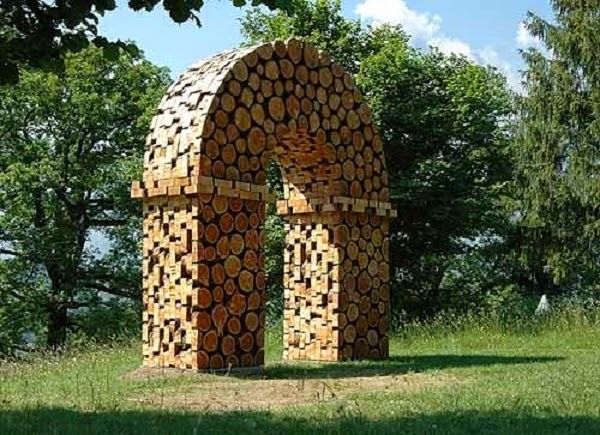 This gives the dual effect of keeping your firewood nice and dry, but also prevents the wind from blowing through the gaps between the wood. 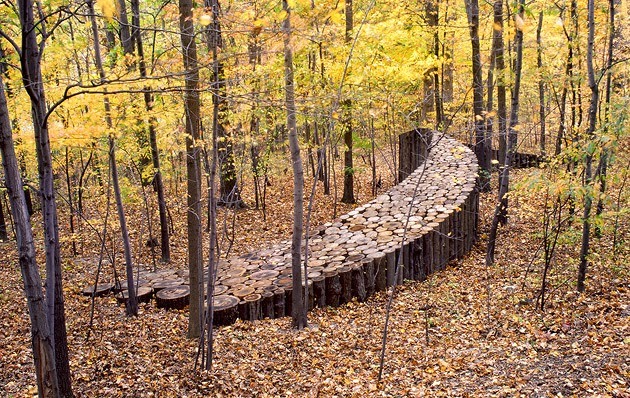 Fill in excess gaps around your cabin with additional wood. Under the stairs, around the foundation, under the porch, balcony, etc. You can even have fun with how you fill in the gap and make it more decorative, like the image below. You can even build additional structures on your property next to your cabin, creating additional wind breakers to prevent the wind from sucking all the heat out of your cabin. 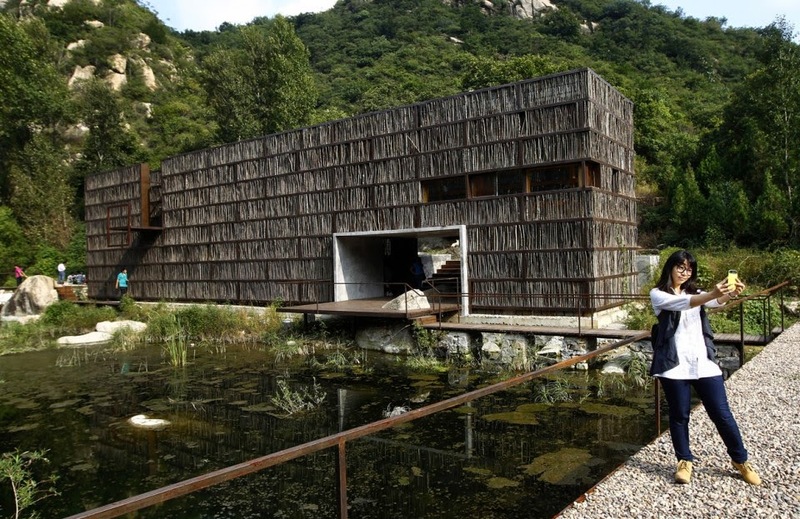 Such structures are also handy for storing non-essentials in - such as bicycles, canoe paddles, and anything which won't be damaged by the cold, but it would be nice to keep drier. 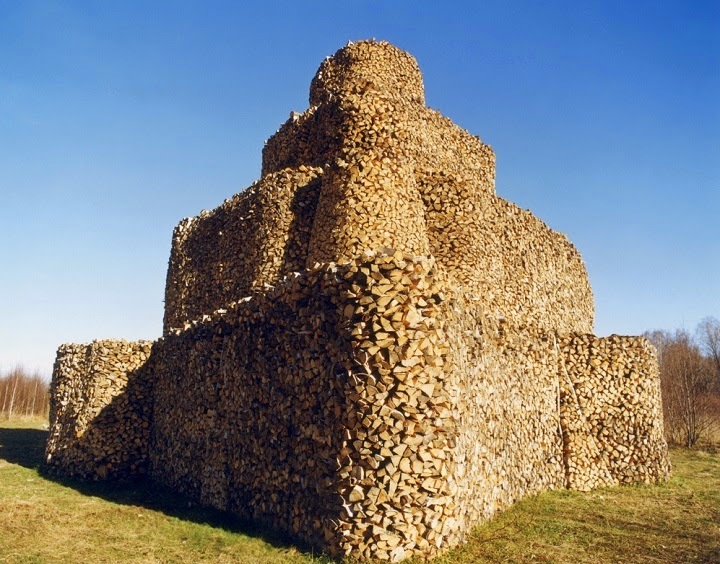 You can even make firewood fences around your cabin, creating a barrier that will keep out predators and scavengers - and simultaneously create more windbreaks that insulate your cabin. All of these wind barriers around your cabin slow the wind down and allow your home to save on energy needs because the wind chill effect will be significantly reduced. 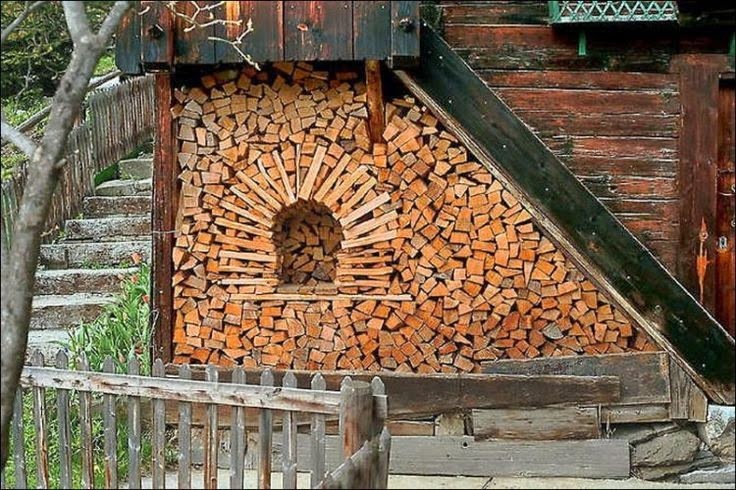 So where do you get all this firewood? Well you can either buy it, cut down the trees yourself (with a chainsaw), or you can even get firewood for free on Craigslist or Kijiji - because sometimes people give it away for free, you just have to pick it up and remove it. 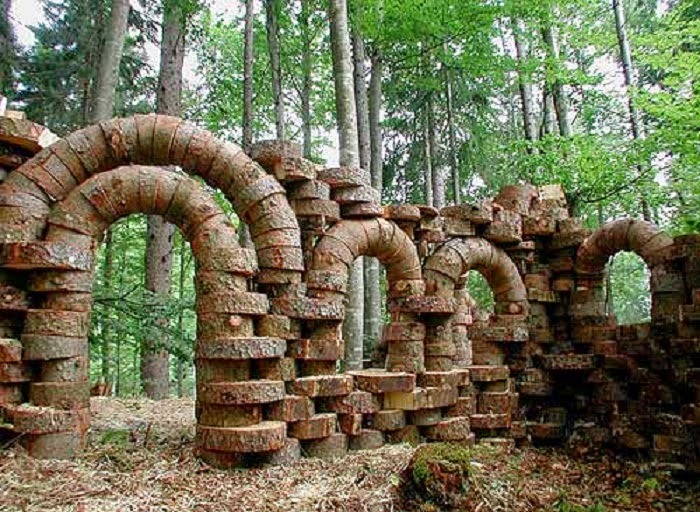 If you get really inventive you can even make mazes, ramps, archways, decorative fences - or even a house or castle. Not that those will insulate your cabin necessarily, but depending on how you use them I guess they could. 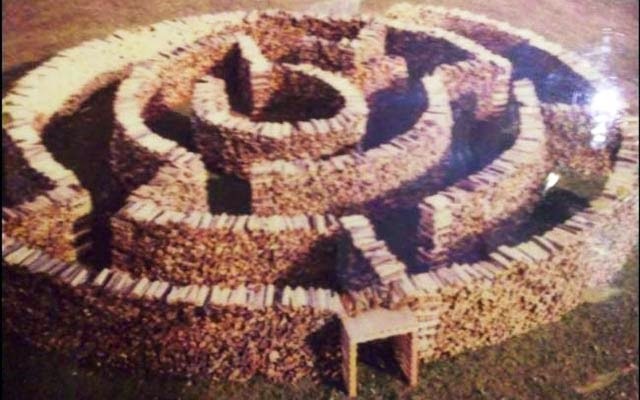 Add a roof to the maze and suddenly it becomes an useful structure for storing things in.